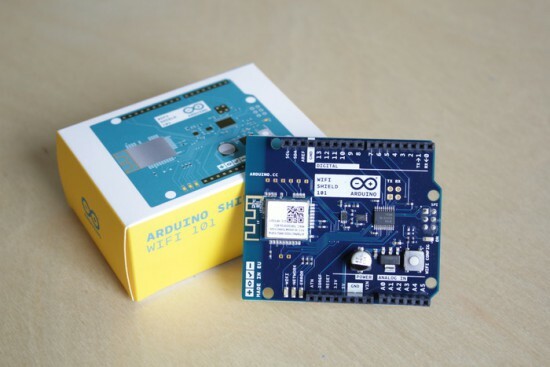 Arduino Blog » Arduino WiFi Shield 101 is now available in the US store! We are excited to announce that Arduino Wifi Shield 101 developed with Atmel is now available for purchase on the Arduino Store US (49.90$). Where can a non U.S.-citizen buy the “WiFi shield 101” ? Where can a non U.S.-citizen buy the “Arduino Zero Board” ? WiFi API is exactly the same with this new shield? Is it possible to use the new shield as an Access Point? You don’t need to be a US citizen to buy the Shield, the Shield is sold in US to anyone who wants to buy it. We’ll soon have Genuino Zero available on our Store EU. or do you really think anyone will book a flight into the U.S. to buy it there ? It’s not a matter of being a US citizen. Store US ships only in United States. When the Wifi shield 101 is available for worldwide shipment we are going to announce it on the blog! why did you delete comments here ? It really seems like an esp8266 stick on an expansion board. Releasing an arduino board powered by an esp8266 would be the thing I’ll expect from arduino. What is the reasoning behind closing the US shop for non-US citizens? When the Arduino Zero came, I bought it from the US shop (I’m in Norway). It was good price on the item, good price on the shipping, and USPS shipping took just 3-4 days. Enter EU shop.. Totally different, tried to buy the Due way back when it came, EU Shop ONLY uses fedex/ups, not normal postal mail (Probably because it’s in the worst country for post, Italy), and the Item was more expensive, and the people answering emails about the shop didn’t understand about taxes, so I couldn’t use that. I bought then from Adafruit instead, way better prices, cheap shipping, and very fast delivery, again, buy USPS. Now, the EU shop is almost completely emtpy?, haven’t seen items there in a long time. What you people are doing now, is forgetting about europeans, and we are resorting to buying clones/fakes from ebay instead, unless one finds US shops that sells to europe. @Dirk67 I haven’t deleted any comment. We are sorry for inconvenience, we’ve been reorganizing manufacturing and distribution for products sold outside US. We’ve been working hard to make it happen and soon there will be news about it. Thanks for your patience! Even if the shield technically can do it, this is currently not supported with the Arduino Wifi101 library. We are extending the number of supported boards to all avr boards and the arduino due, some update to the library is on the way to be released in a couple of days. Any update on when/if the 101 shield is sold in EU?